The party — composed of ASUC Senate candidates Sunny Aggarwal, Jonathan Allen and Alexandra Tran — draws its name from an international movement based around using technology to increase participation in government. 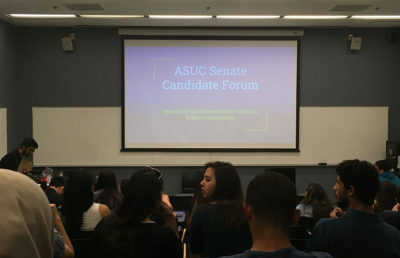 The candidates, according to their slogan, want to “commandeer the ASUC” by decreasing bureaucracy and reformatting the process through which clubs are allocated funds. 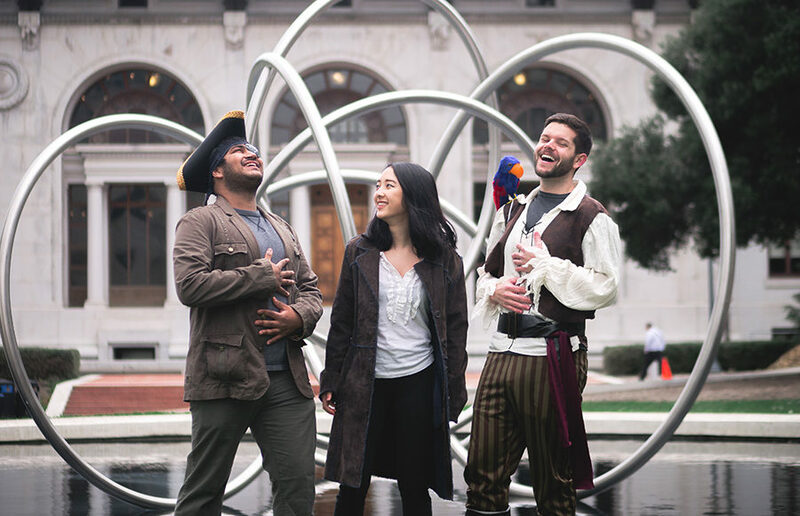 But they are working to earn their senate seats, Allen said, by “being kind of ridiculous.” The candidates plan to campaign on Sproul Plaza dressed up as pirates and blasting the theme from “Pirates of the Caribbean” as an attempt to break up the seriousness of ASUC elections. Aggarwal, Allen and Tran, who are among the founders of campus cryptography club Blockchain at Berkeley, said they ran after identifying issues with ASUC processes related to funding for their organization. While some clubs get thousands of dollars from the ASUC, Aggarwal said, Blockchain at Berkeley was operating with very little — a circumstance he attributed to bureaucracy and favoritism. Aggarwal said the candidates were triggered to run after two ASUC senators came to them and implied that if their club endorsed them, they would “write things in (their) favor.” One way the Pirate Party candidates want to create more transparency is by setting a requirement that decisions involving significant amount of ASUC funding be put to the entire student body for a vote. Though Allen said the candidates represent an “eclectic mix of individuals and experiences,” they stressed that, if elected, they do not intend to focus their resources on the specific groups to which they belong, but rather consider the needs of the entire campus community. Aggarwal, a campus sophomore, is the only of the three candidates who has previously worked in the ASUC, with experience as a staffer in the offices of ASUC senators and executive officers from both CalSERVE and Student Action. 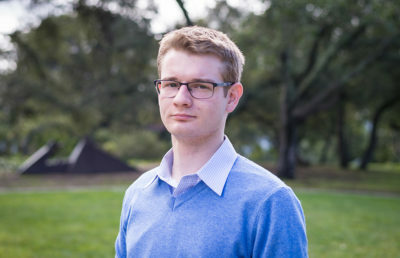 Additionally, he’s an electrical engineering and computer sciences major with a minor in political economy and a member of campus fraternity Alpha Delta Phi. Allen, a campus junior transfer, was in the military for five years before he came to UC Berkeley. He is now studying economics and looking into the campus’s interdisciplinary studies field major program. He is particularly interested in cryptocurrency and technology. Tran, a campus sophomore pursuing a double major in computer science and philosophy, said she has been a member of several political groups, both left- and right-leaning. She also runs Cal Libertarians and is a member of Bridge USA, an organization intended to promote political conversation across ideologies. Technology is a means by which the candidates hope to unify the student body. 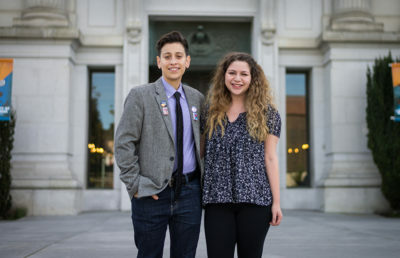 They intend to create an online platform designed for students, especially those outside student government, to discuss issues brought up in the ASUC Senate. The candidates stressed that they hope to make UC Berkeley’s student government more inclusive to people who may not feel motivated to participate in ASUC as it stands.